Put a number of pylons on the goal to goal line. Each player has a puck. Player 1 passes to player 2, while player 2 passes to player1. Both making sure the pucks go between the pylons. Passing to each other until they reach the other side. When 2 and 1 get at the last pylon they score. 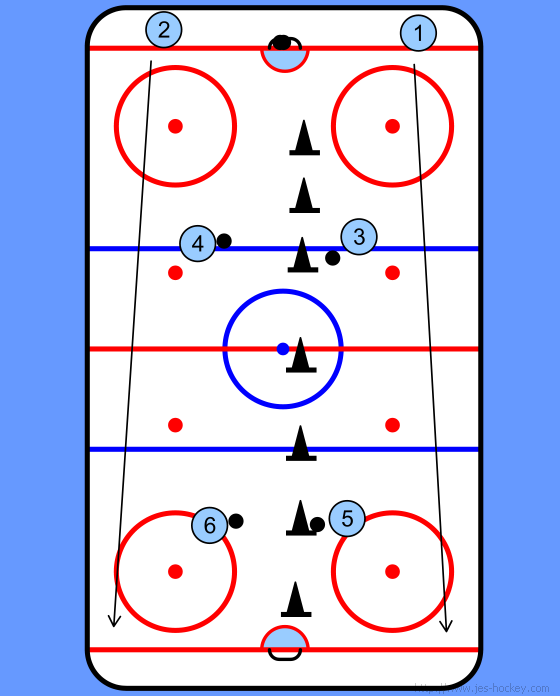 Player 3 and 4 start when player 1 and 2 have reach the midline. After making the shots players 1 and 2 skate back to the other site of the rink. 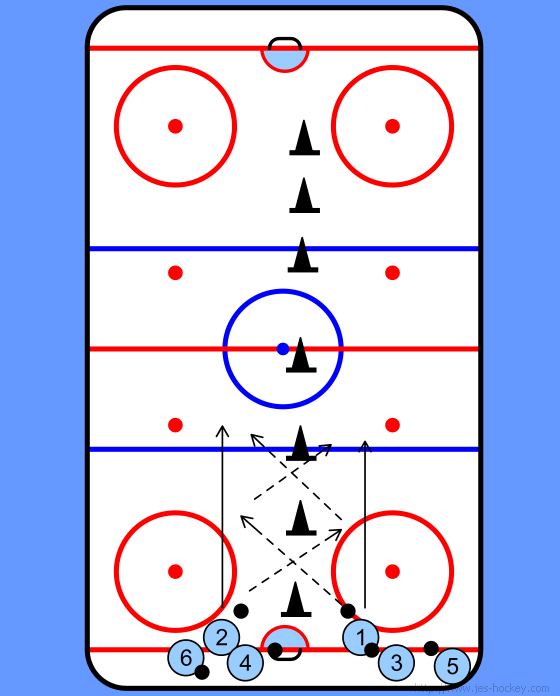 To make it more interesting a goalie and a defender (with restrictions) can be added to the drill.